"The policies advocated by the welfare school remove the incentive to saving on the part of private citizens. On the one hand, the measures directed toward a curtailment of big incomes and fortunes seriously reduce or destroy entirely the wealthier peoples power to save. On the other hand, the sums which people with moderate incomes previously contributed to capital accumulation are manipulated in such a way as to channel them into the lines of consumption." This chart below shows the decline of the savings rate since the 1960s in the United States. 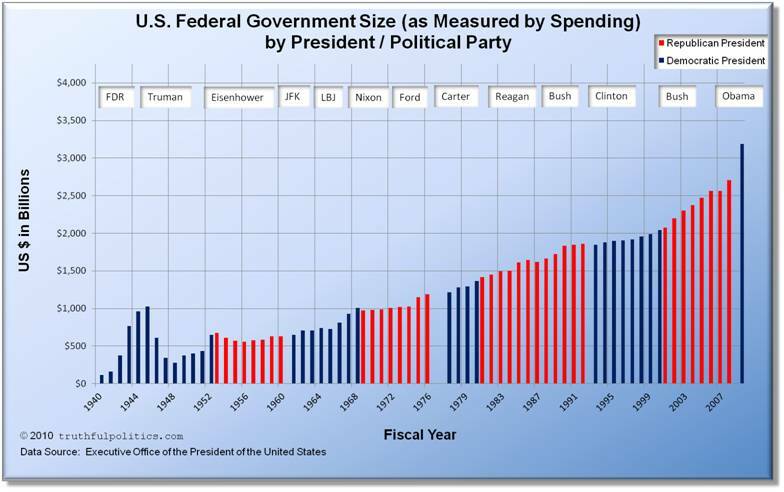 This chart below shows the expansion of Government spending since the 1940s. 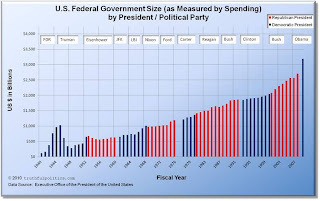 This chart shows the political party in the White House, but it most be noted that the Congress also plays a role in the budgetary process. The majority party in Congress during the respective time intervals is not listed in this graph. Yes, there are other variables to consider in this simplistic analysis, but the question remains: Is there a direct correlation as Mises suggests in his quote? Many experts believe that engaging in come sort of conflict, war or revolution helps stimulate the economy. A review of Frederic Bastiat's famous "Broken Window Fallacy" addresses this false notion. Typically, conflicts give the power to expand the State to the size it pleases, and it is done at the economic cost of its citizens. If the state can not substantiate that change in growth, it will borrow the money, print new money, or both. When this happens, inflation hits and it devastates the nation. Here is an excellent article titled, "What Brought on the French Revolution?". This is an example of how the state uses war to expand the French Government, to the dissent of the French Finance Minster, Anne Robert Turgot. Excerpts from the article: "Turgot argued perceptively that another war with England would derail his reform program, bankrupt the state, and, even if successful, do little to weaken British power." "Turgot argued perceptively that another war with England would derail his reform program, bankrupt the state, and, even if successful, do little to weaken British power. "The first gunshot will drive the state to bankruptcy," he warned the king. It was to no avail. International power politics and considerations of national prestige took precedence over domestic reform, and the king dismissed him in May 1776. He would be proved right on all three points." "Prices are not levels that set value, they are metrics that respond to value." 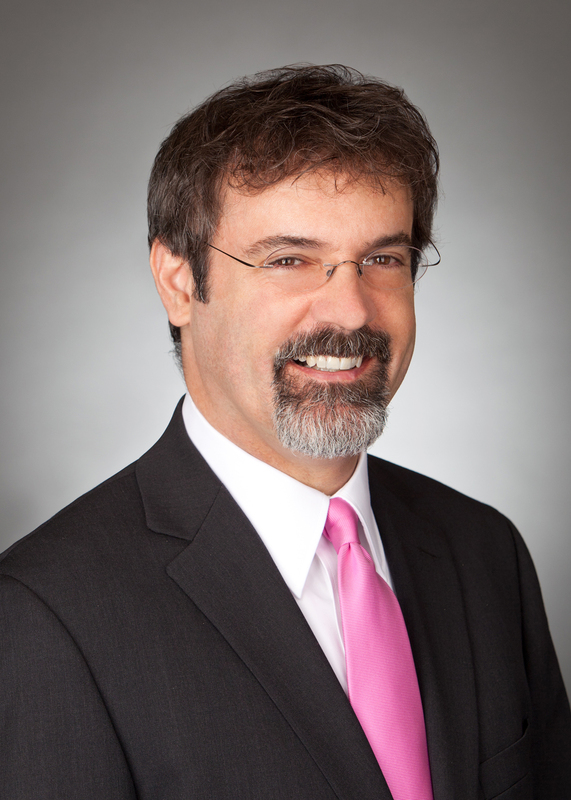 Antony Davies, PhD. Mr. Davies explains in this video "The Unintended Consequences of Price Controls" on how this statement is true. Next, he shows how Minimum Wage Laws are not helping the unskilled laborers, the target labor segment of these laws. In fact, an argument can be made on how they actually hurt this labor segment. PayDay Lending: Helpful for Consumers? In this working paper, it discusses the merits of PayDay Lending. It is a rather contraversial topic as many people feel it hurts the clients that utilize the services. However, is this really true? Comparison: The Rise and Fall of the Roman Empire and the United States. Mr. Stefan Molyneux provides another video contribution. This time, this video discusses the "The Fall of Rome and Modern Parallels". He provides a summary of the rise and fall of the Roman Empire, and how the parallels are very similar to the United States. He also makes reference to inflation. The article, "Inflation and the Fall of the Roman Empire" discusses the how the Romans employed similar tactics of inflationary measures.